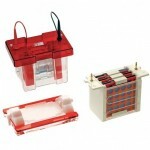 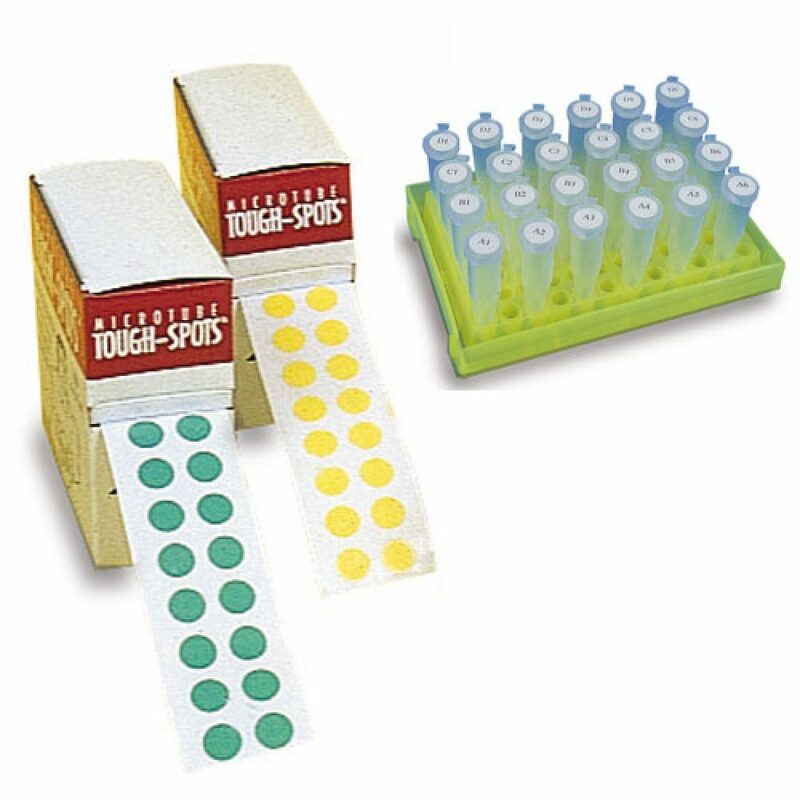 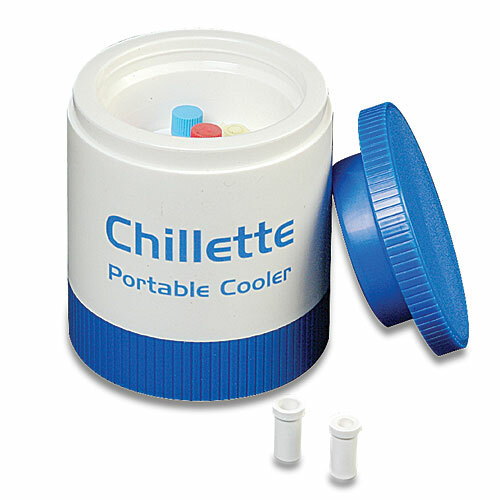 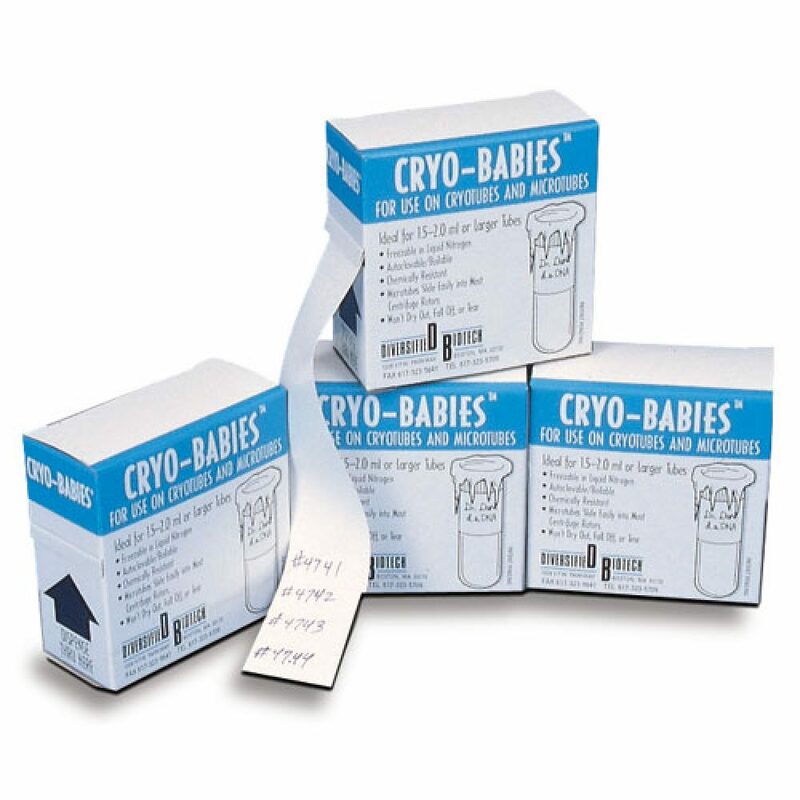 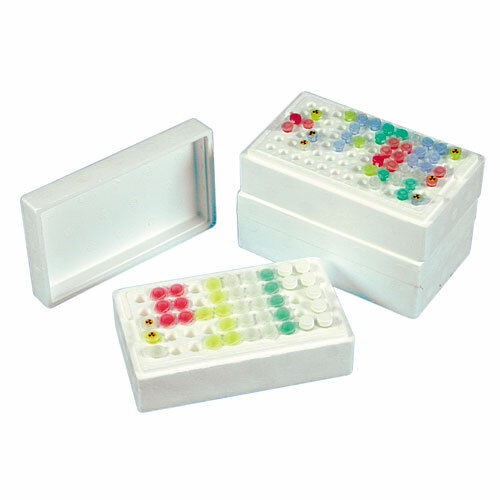 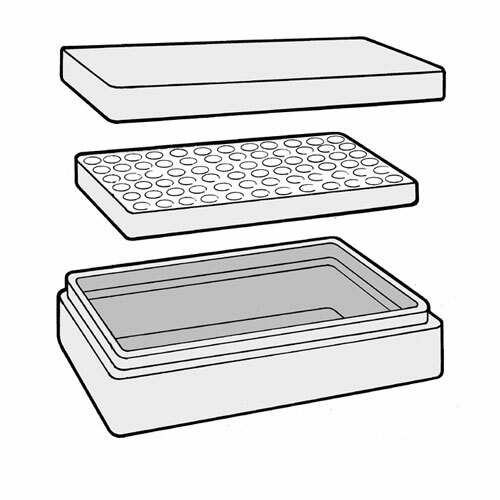 These pre-cut, peel-off dots for microcentrifuge tubes and cryogenic vials are useable in boiling water baths at 100˚C, dry heat to 150˚C without cracking, peeling or degrading and down to -196˚C (for both vapour and liquid phase nitrogen). 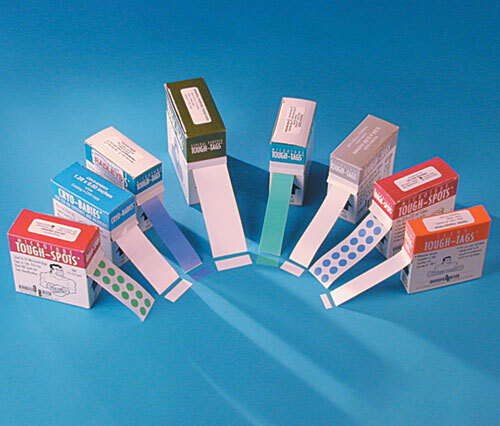 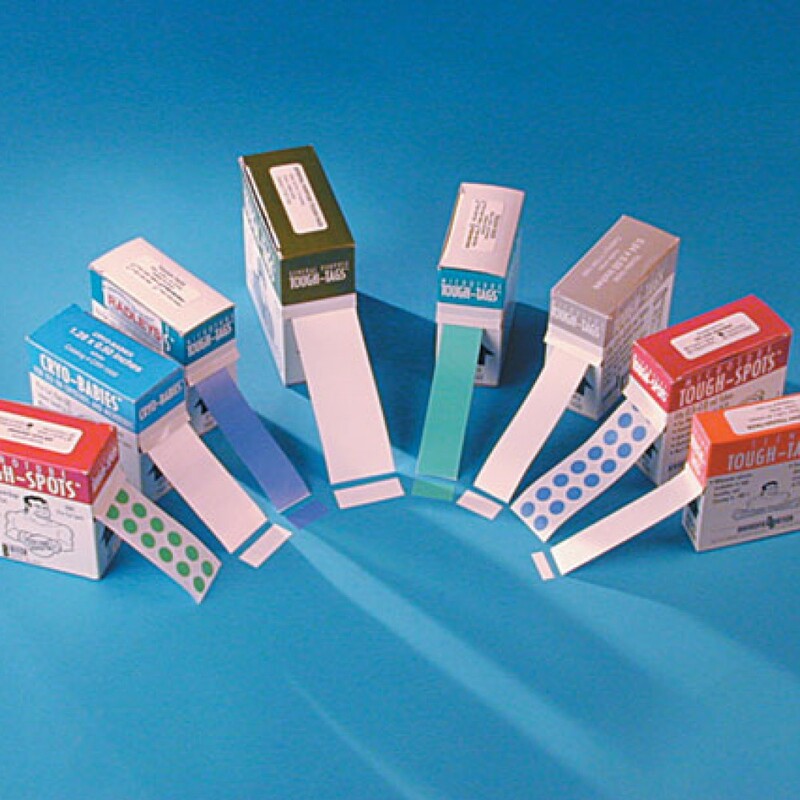 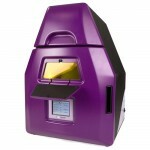 In 5 colours, to offer easy sample and tube identification, and in diameters 9.5mm,12.5mm, 19mm and 25mm, they are available in rolls or in laser printer compatible sheets of pre-cut peel-off labels. 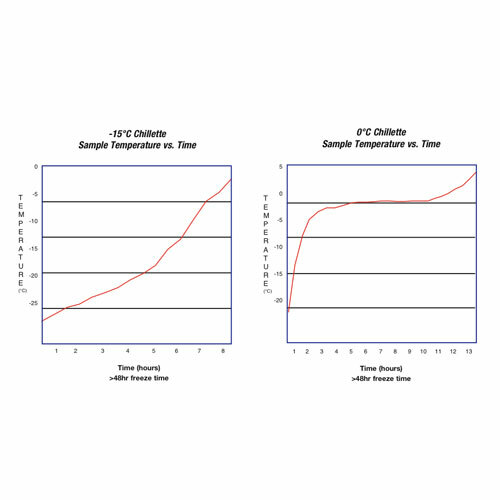 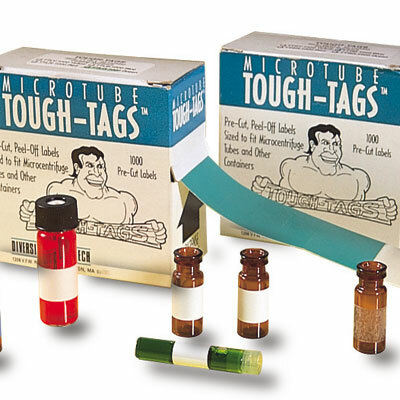 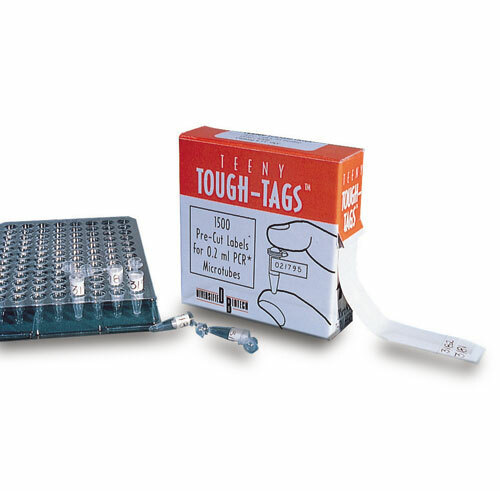 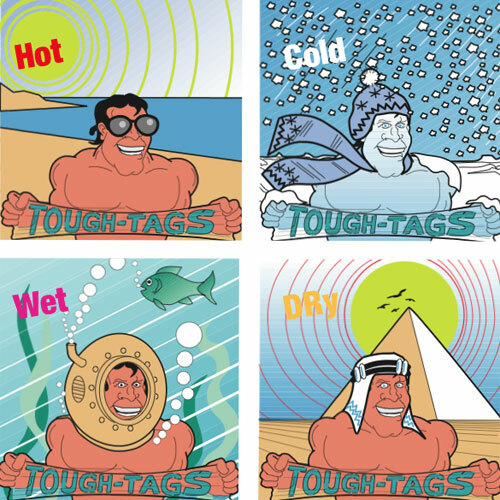 All Tough-Spots™ a have the chemical and physical characteristics of standard Tough-Tags™.